When he collected his first strikeout, as a 19 year-old in 2005—it was Pudge Rodriguez—Hernandez was all braun, firing fastballs like unguided ordnance. 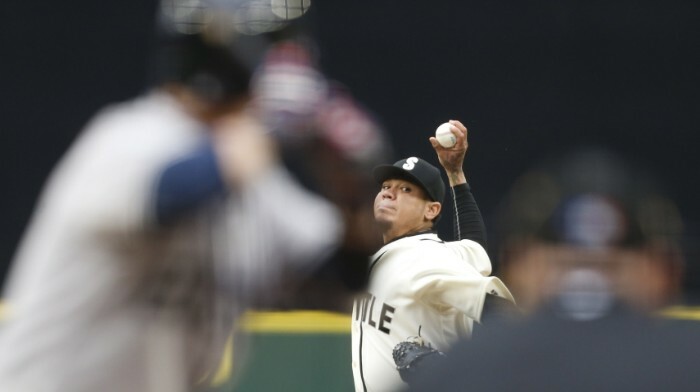 He’s since become a fair bit brainier, and notably more virtuosic; Hernandez seemed, for the bulk of last season’s 248 strikeouts, to be several strategic steps ahead of every unfortunate facing him from in the box. On Mother’s Day, two pitches before the 92mph heater that claimed Fuld, Hernandez dropped in an 80mph curve of giggle-inducing perfection. It was unfair.